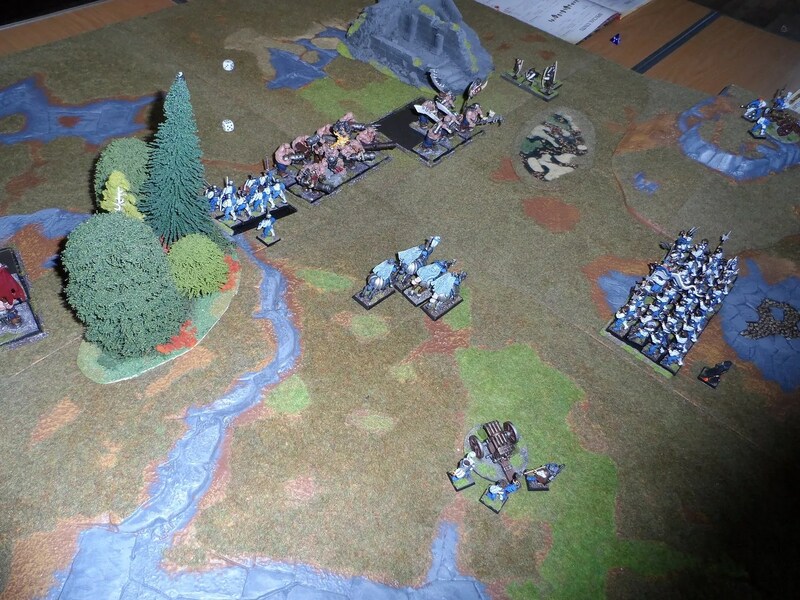 This time it was Rich running his Empire army vs Neil’s Ogres. 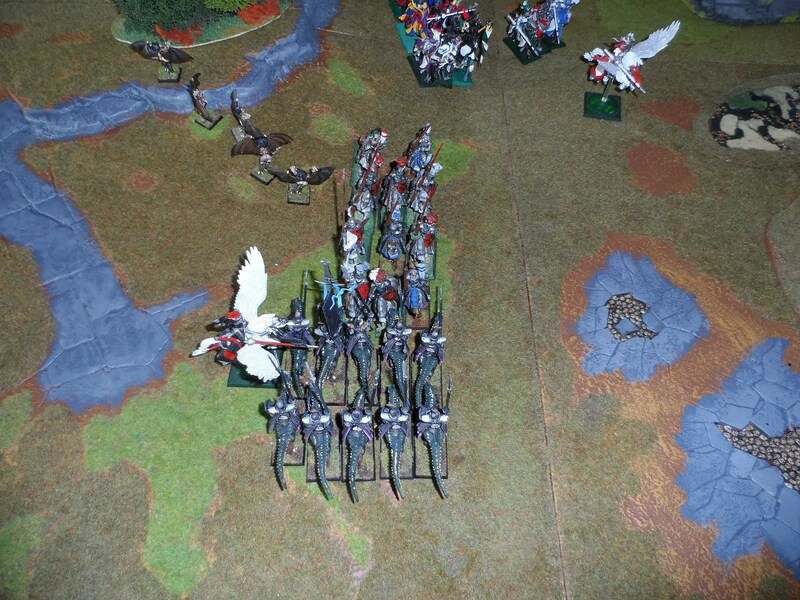 While the mournfangs charged forward with a similar road bump in the way. 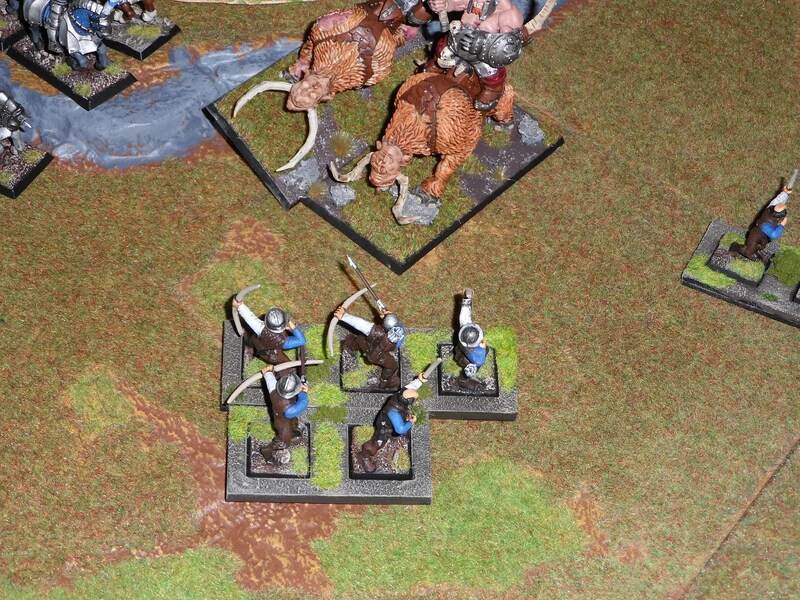 The first set of archers defeated the sabre tusk ! 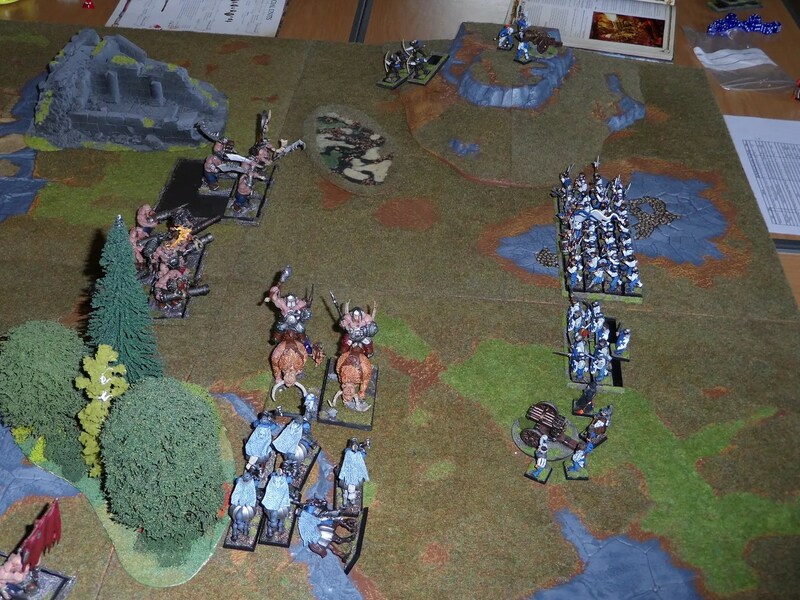 Which defeated them in combat, whilst the rest of the Ogres moved forward. We had to call the game turn 3 as it was getting late but was obvious I would have lost in the end. 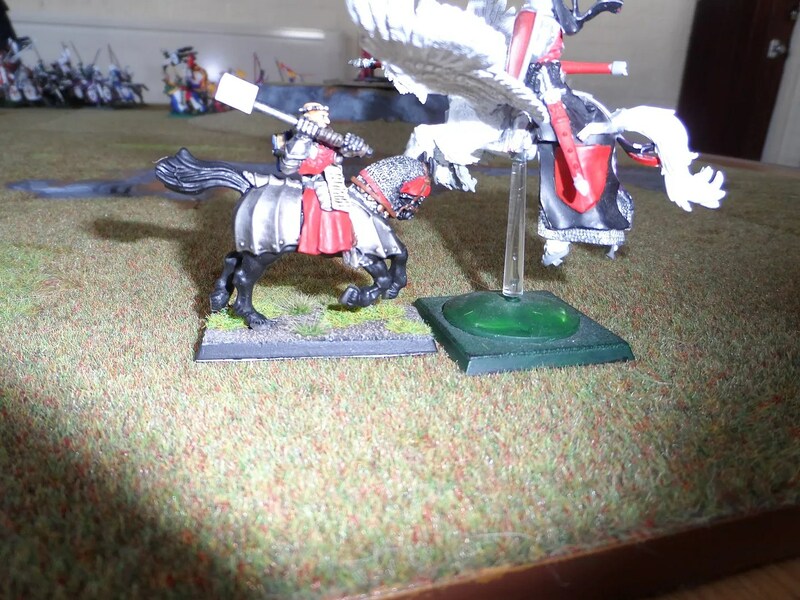 Again I thought I was doing ok then took a cannonball to the Bruiser Bsb’s face which killed him outright. 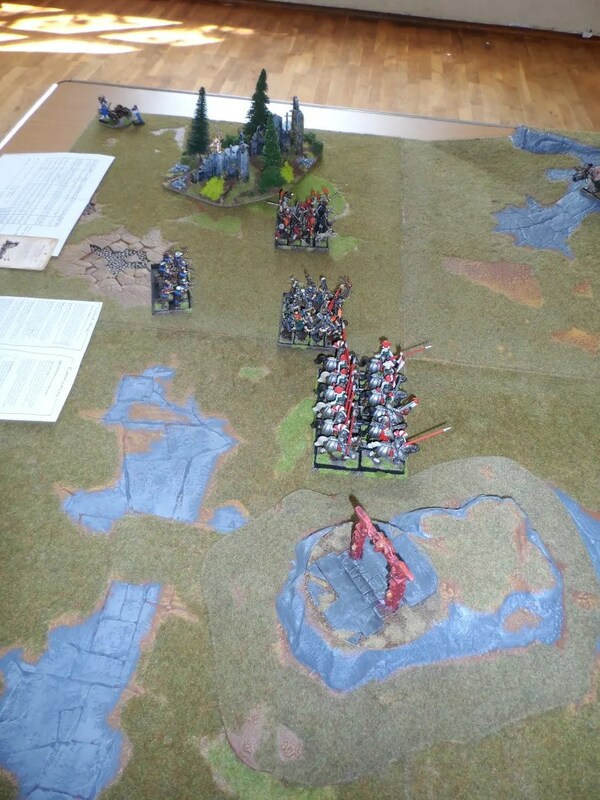 The Mournfang took a double charge off some knight and swordsmen which nearly went in my favour but in the end lost and were run down. I loved the leadbelcher/firebelly combo and should probably have stayed back longer but it was getting late so charged with the Ironguts. Game over. 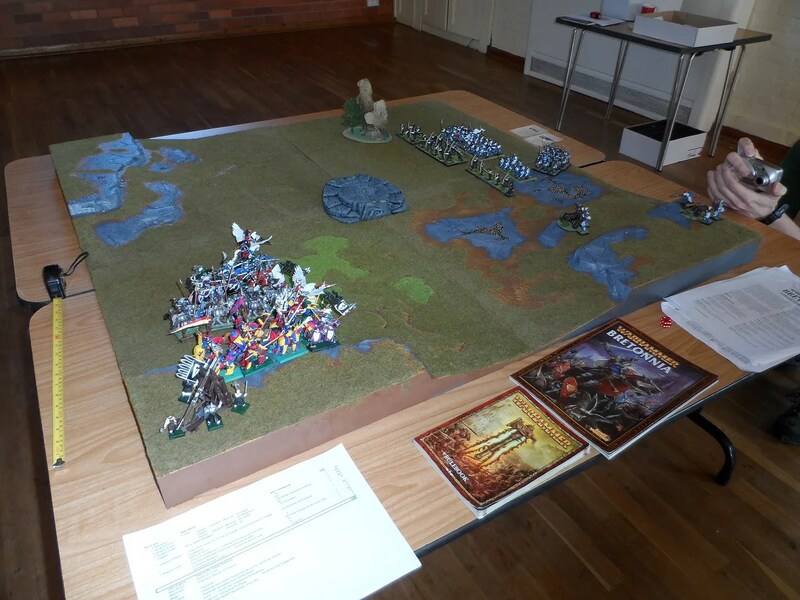 This was our first tournament style event (and first WHFB session in the hall). 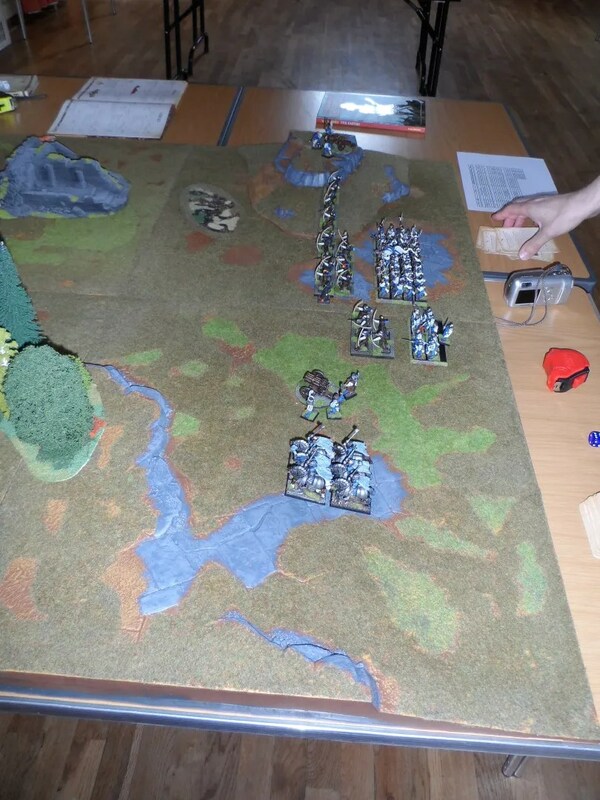 Sadly one of our number was struck down by an allergy and didn’t make it, but we coped well enough so that everyone got at least two games in. We could easily have done two more tables if more people came. The 5-6 people is also a tricky mid point. Too many to host in my dark tower, enough to hire the hall, but not hire in catering (a couple of pizzas did get over cooked as learnt to cope with the hall’s cooker). 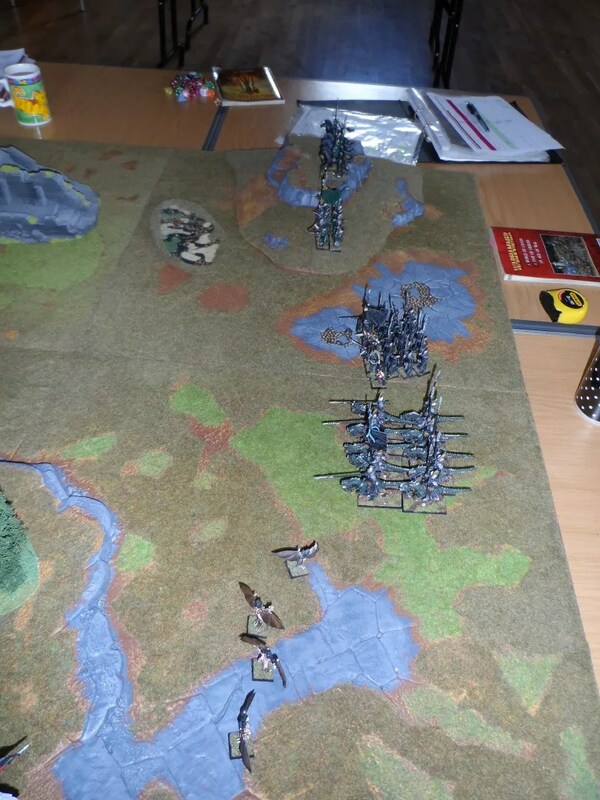 Having only 1200 points is a very different game to the normal 2500-4000 that our group plays. 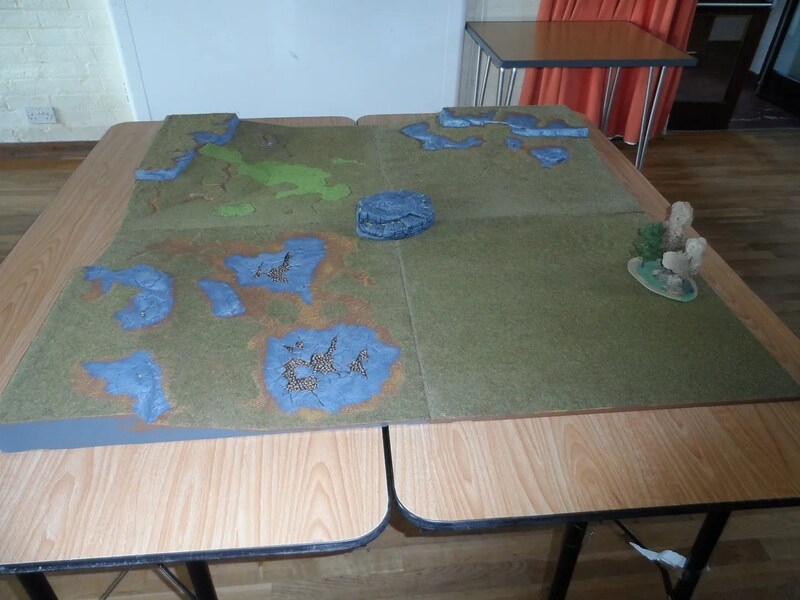 Having 4×4 tables instead of 6×4 or bigger also brings in new tactics. A fun day which we shall have to repeat. 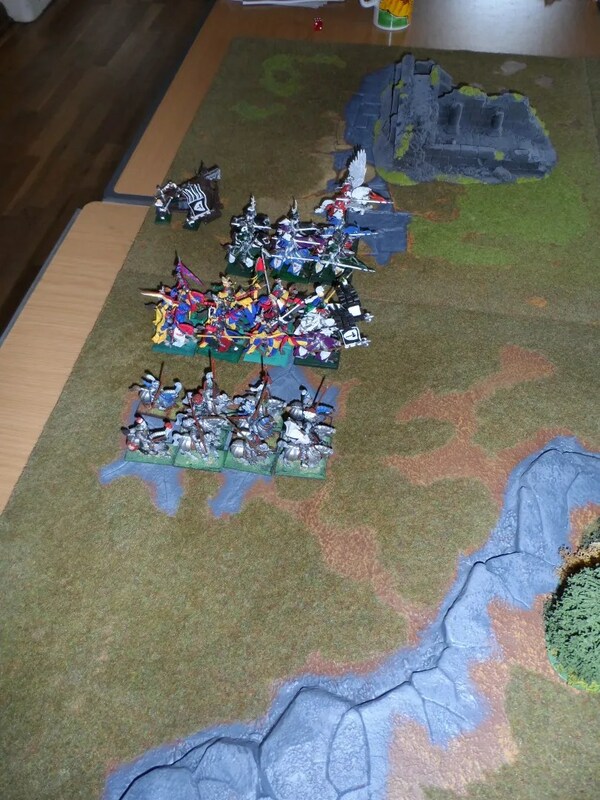 Ok, having seen my CoK trash the Ogres I started out positively against the three columns of Bretonnian k-nigits, especially as I managed to whittle one unit down from 9 to 6 during magic and shooting phase. 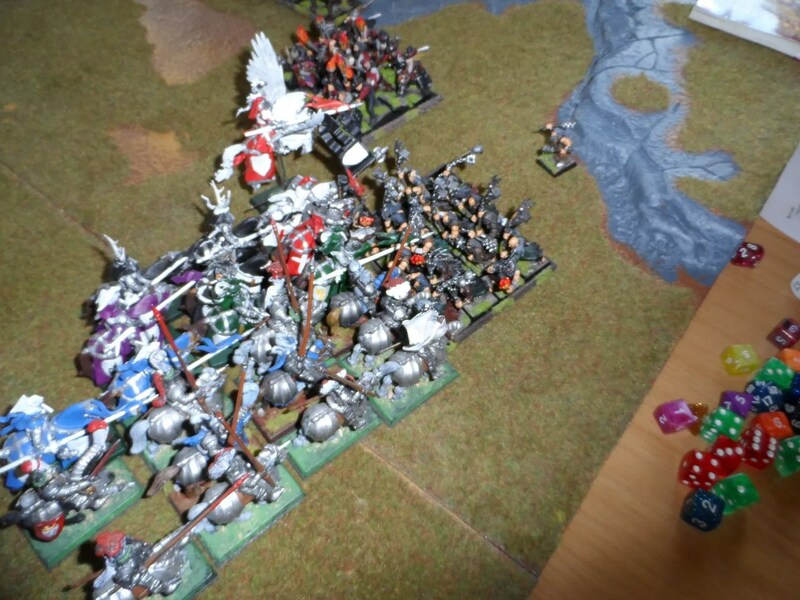 Then a rock from the trbuchet landed on the Silver Talons, and wiped out 13 of 20…errmm….and ten the CoK got charged in the flank by a k-nigit on Pegasus, and then a column of k-nigits head on. 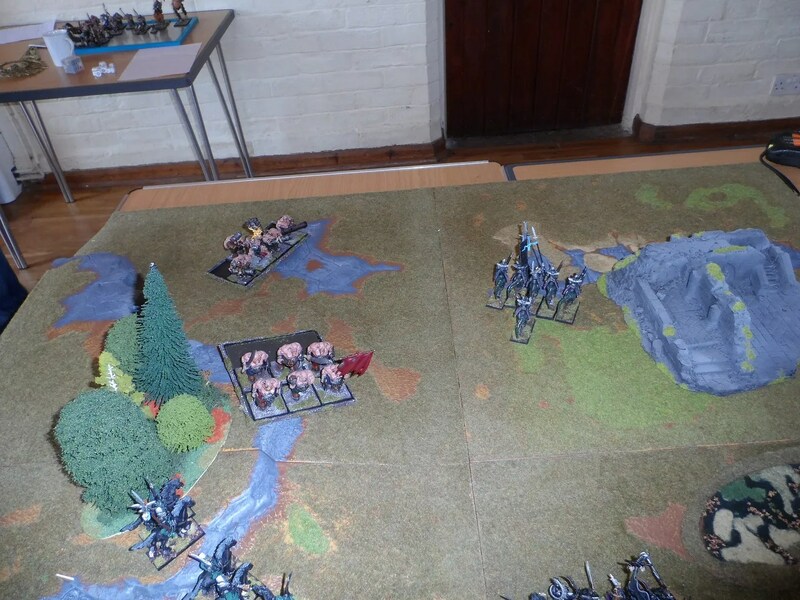 You may note the gap to the right of the CoK, because that’s where the Silver Talons were, before they had been massacred by another column of k-nigits who pursued them off the table taking my main combat hero and Level3 High Sorceress with them. Short and not very sweet for me. Scott and Neil squared off against each other. To be fair to Scott, he was playing with a fairly unknown (to him) army that Rich had been kind enough to build and loan him. Head top head combat ensued. 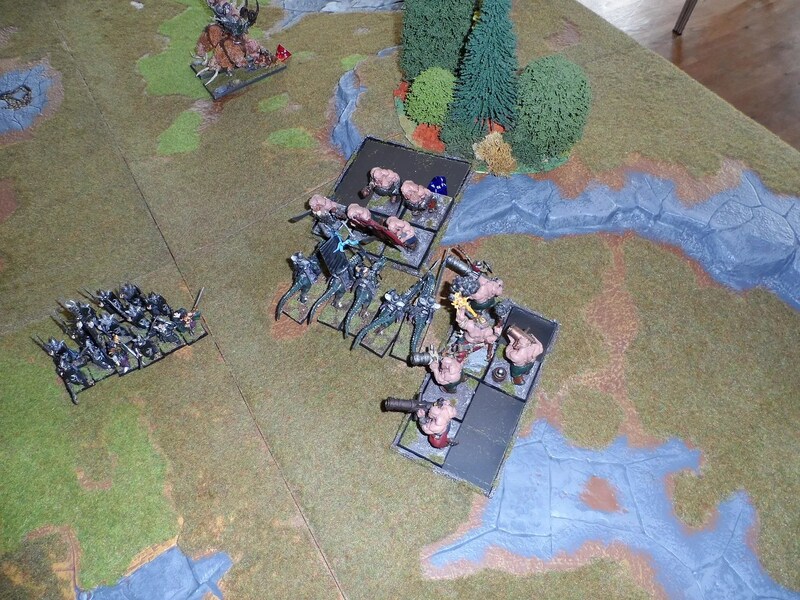 The Ogres won out, especially when the swordsmen ran away from the Leadbelchers. The penultimate game of the day. 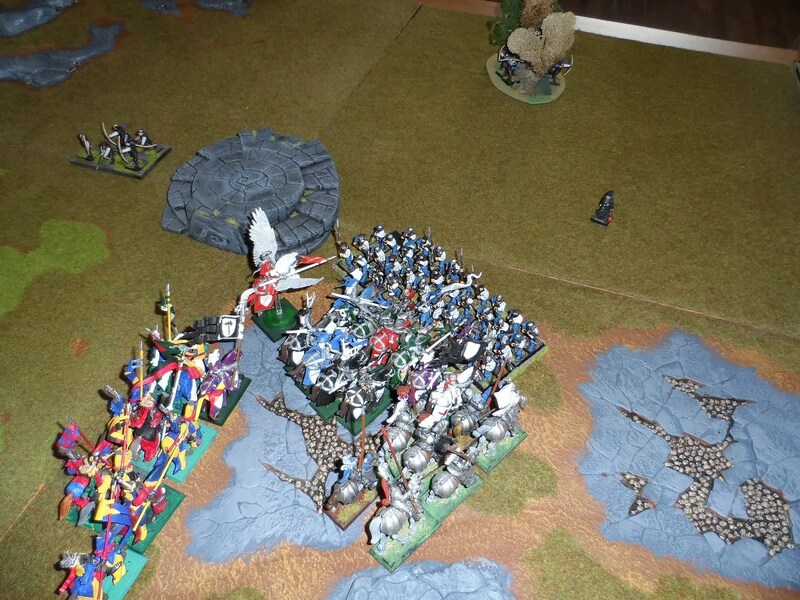 Again the three Bretonnian juggernauts surged forward. 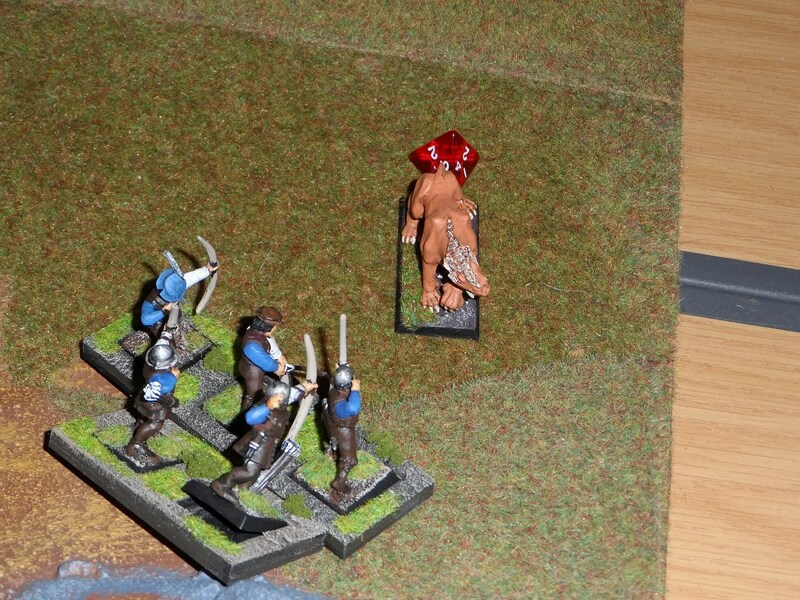 The Bretonnians finally defeated the swordsman who had joined combat and ground the flagellants down. Don’t join the flagellants with other units in combat ! 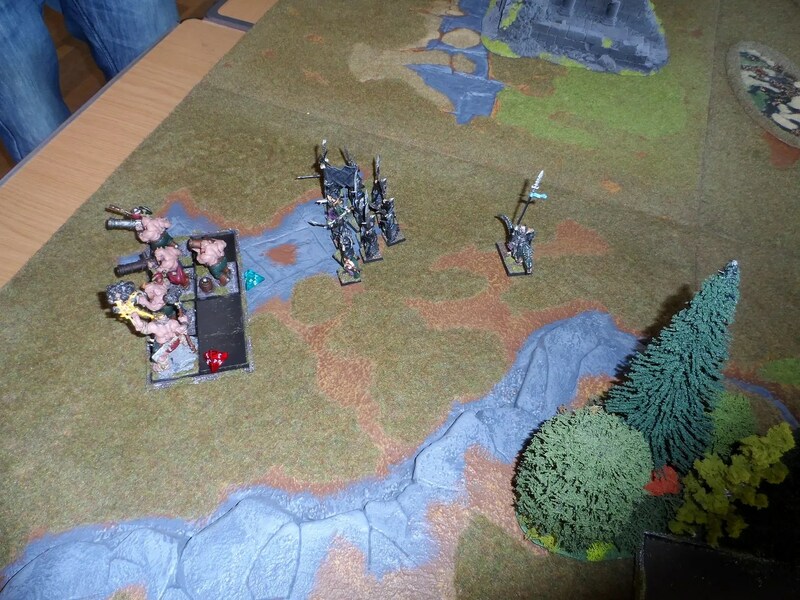 The flagellants don’t mind dying in droves as they are frenzied and steadfast, the other units will run for it because of the high body count affecting combat resolution. 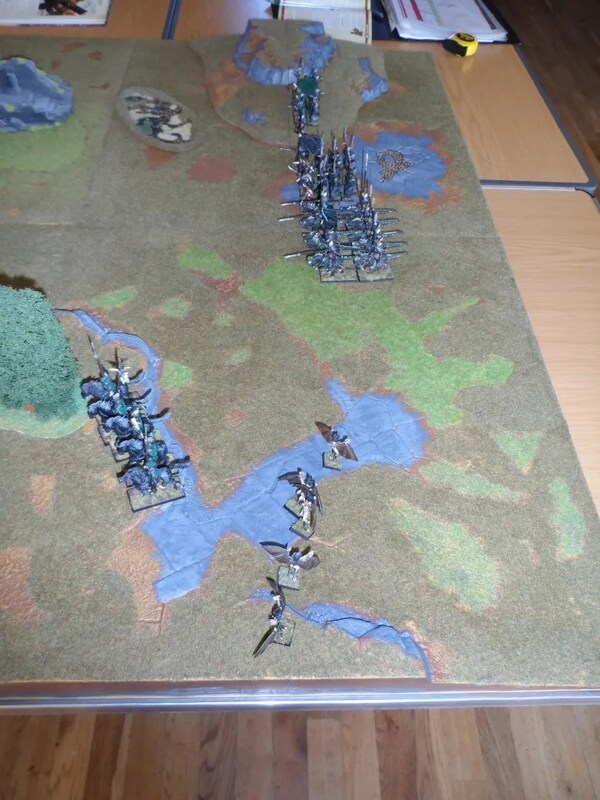 Jim’s k-nigits also saw of the Empire knights and with the majority of the hard units running for it Scott threw in the towel as I had done. 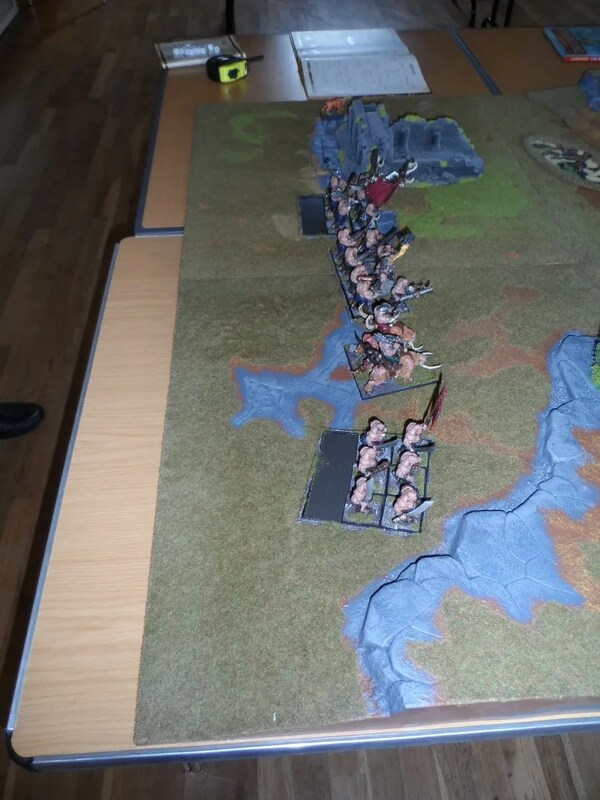 Jim brought a mass of k-nigits in three columns to take on Rich’s Empire army that was built around a mass of Halberdiers. 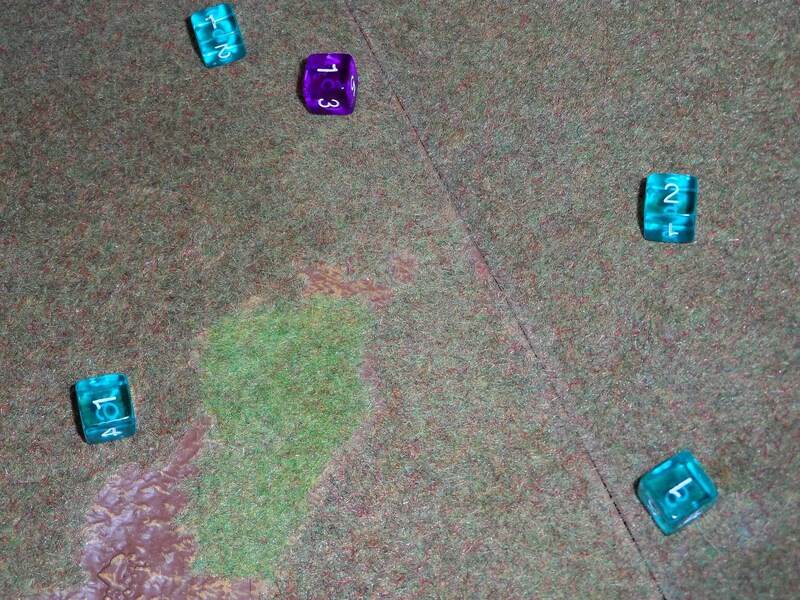 There were also pegasi, and Rich came packing a hell blaster and a cannon. Though from overhead screams of woe, I think there was a lot of missfires rolled. 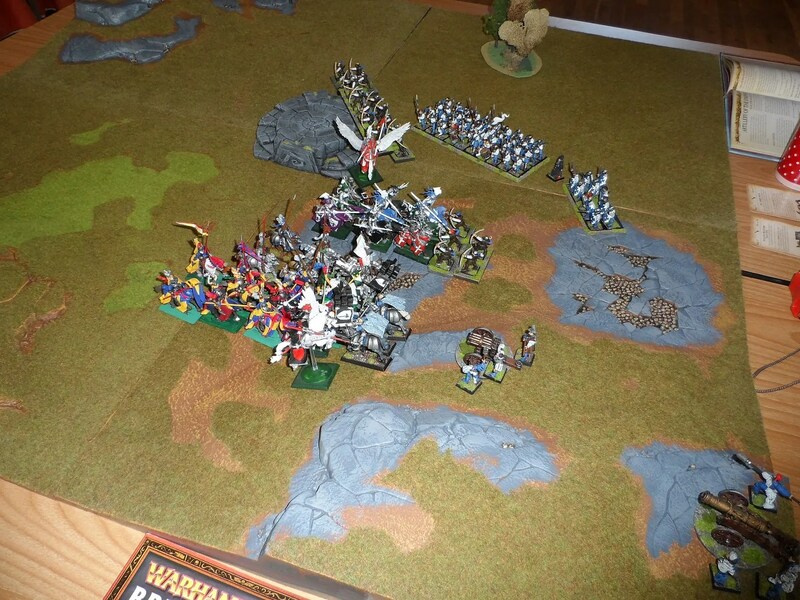 The forces clashed in the middle of the table in a swirling melee. 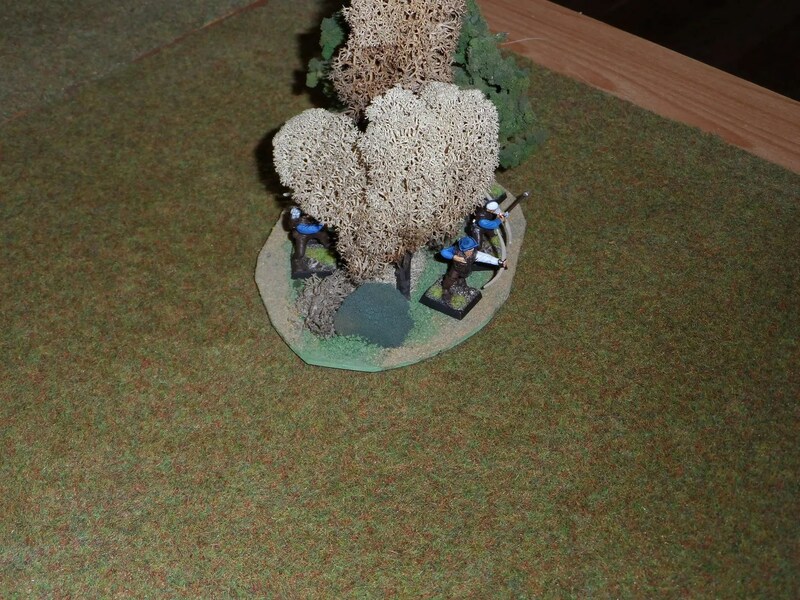 Though the Empire archers ran away and hid. 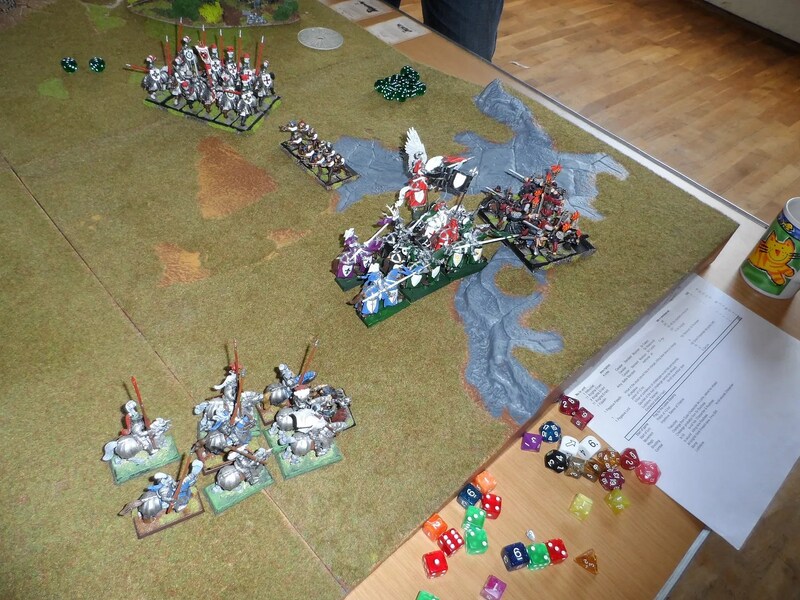 The melee culminated with the Halberdiers getting into the thick of it. 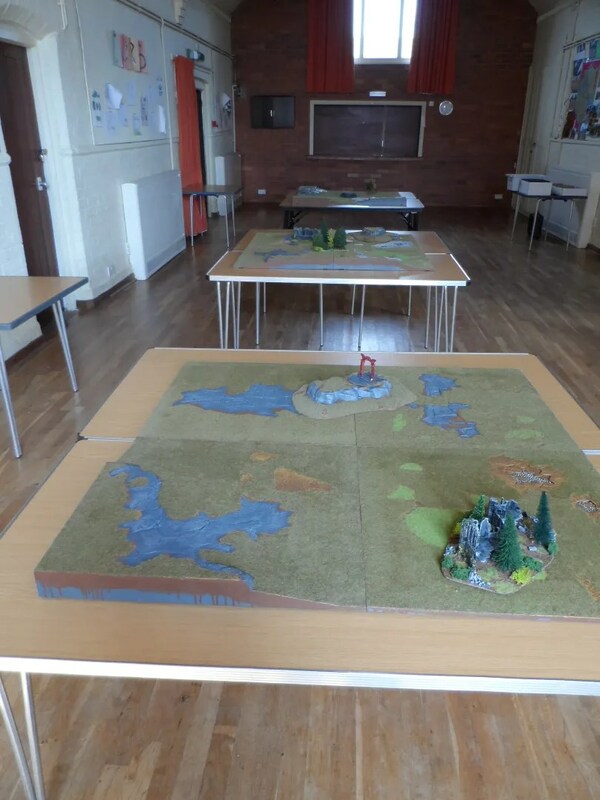 We set up three separate tables (4×4) with different terain in the village hall, and deployed armies of 1200PV, that we re-used to churn our way through different opponents for a day. Neil W and Scott were the newbies tat came along. 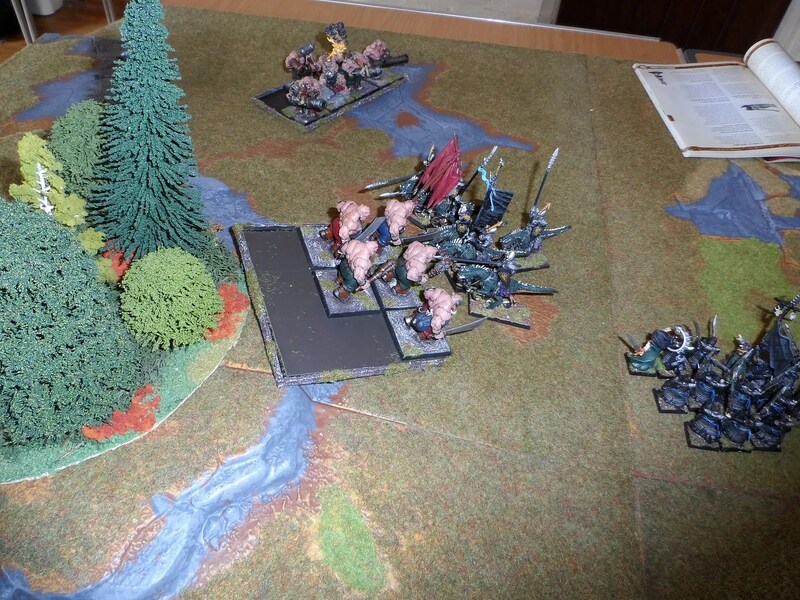 Scott has played long ago, and has also done Mordheim and Necromunda, but it was Neil W first outing for wargaming with his well painted Ogre Kingdoms army. 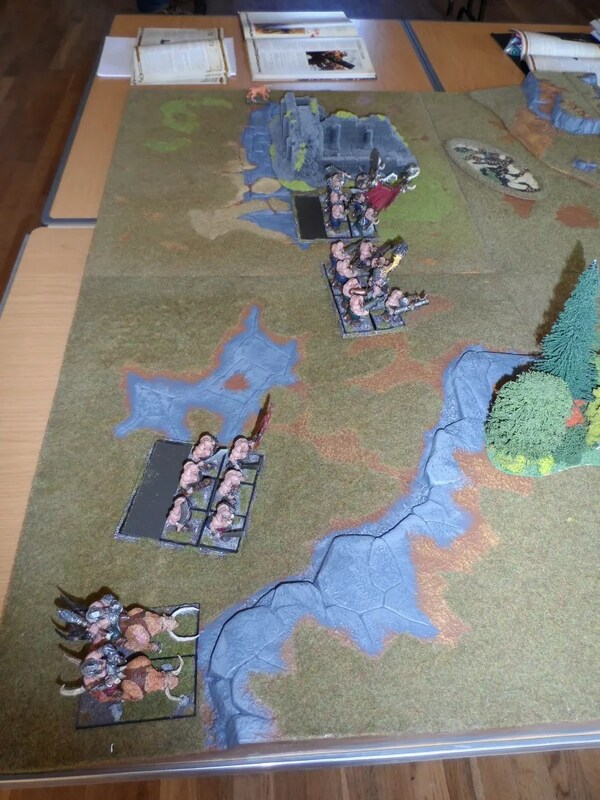 As we would be facing unknown adversaries, most of us plumped for generic army lists, so facing off against Ogres I expected to be squashed. Which almost happened to my Dark Riders when they turned tail and ran away from the mournfang cavalry and escaped by one inch ! 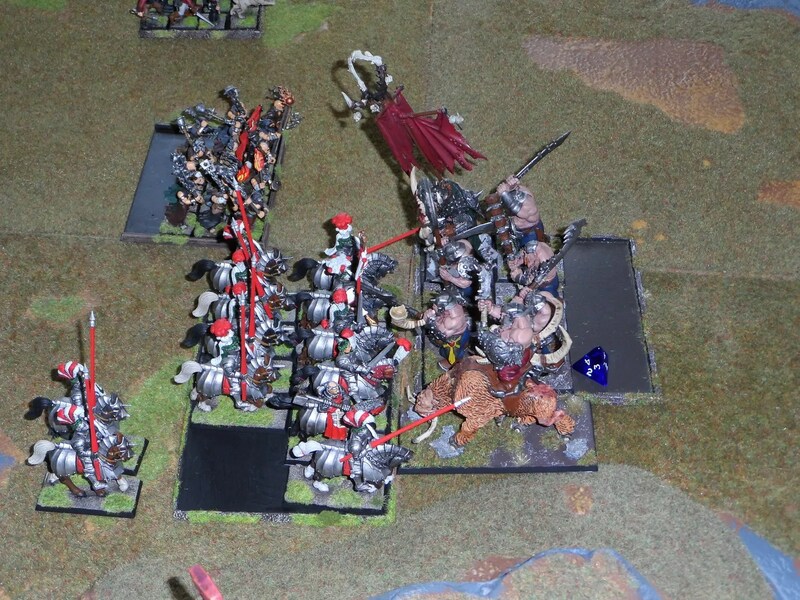 Luckily, the CoK hammered into the Ironguts unit with BSB, won combat and ran them down, causing the Leadbelcher unit with General to run away. However they rallied, and toasted my Harpies. 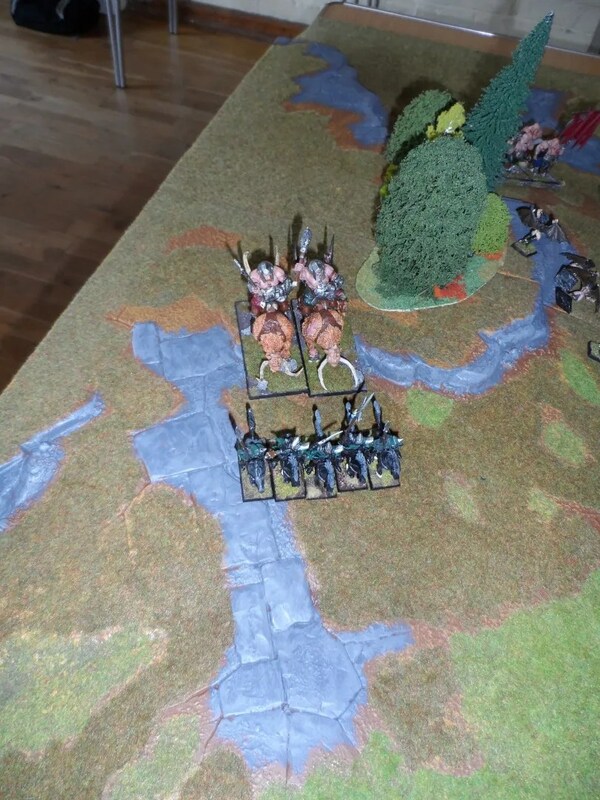 I then charged my Dark Riders into the Ogre bulls, and flank charged with the CoK. 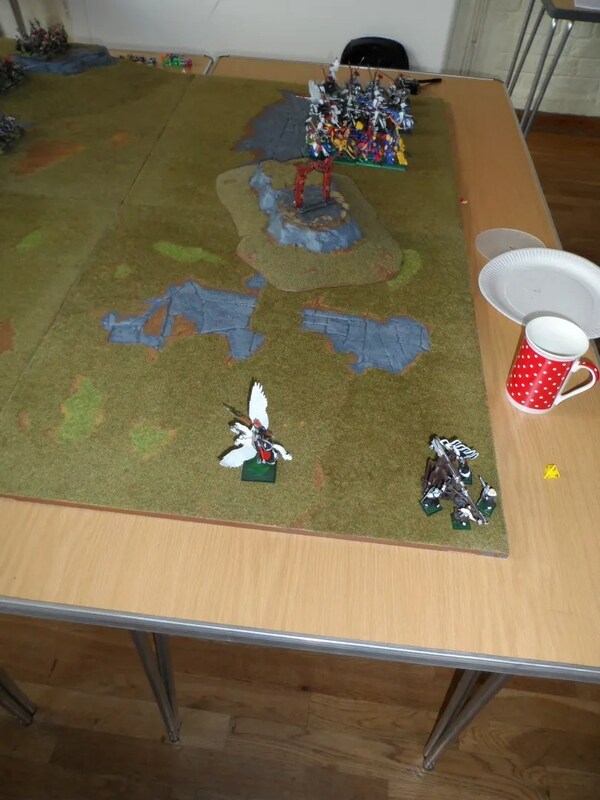 Amazingly, Neil pulled off lots of parry saves, wiped out the Dark Riders, and faced the CoK in a draw on combat resolution. 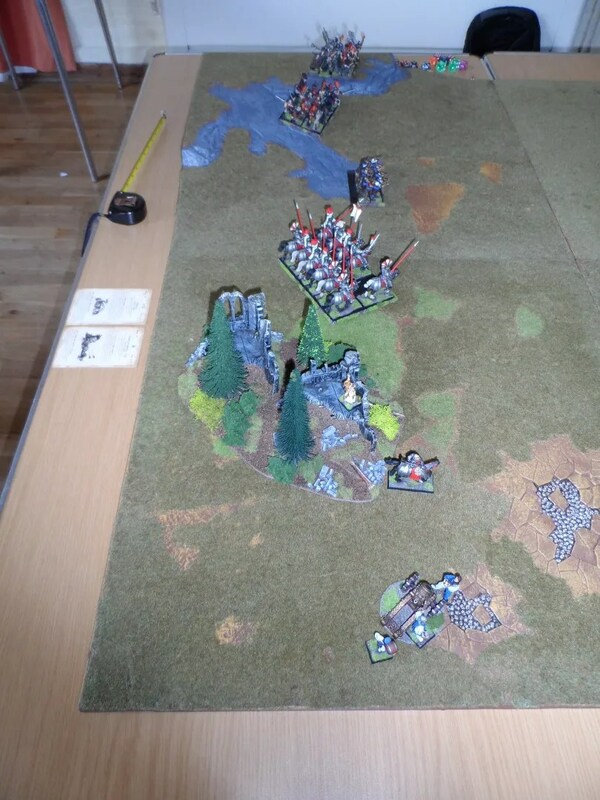 Only for the leadbechers to steam into the side of the Co, which amazingly survived a round of combat, passed LD test, which allowed my Silver Talons (Spearmen) to charge into the melee. I won combat, Neil’s luck deserted him and he failed his LD tests and ran away…and then it was his trn…and he faled the rally tests…game over. 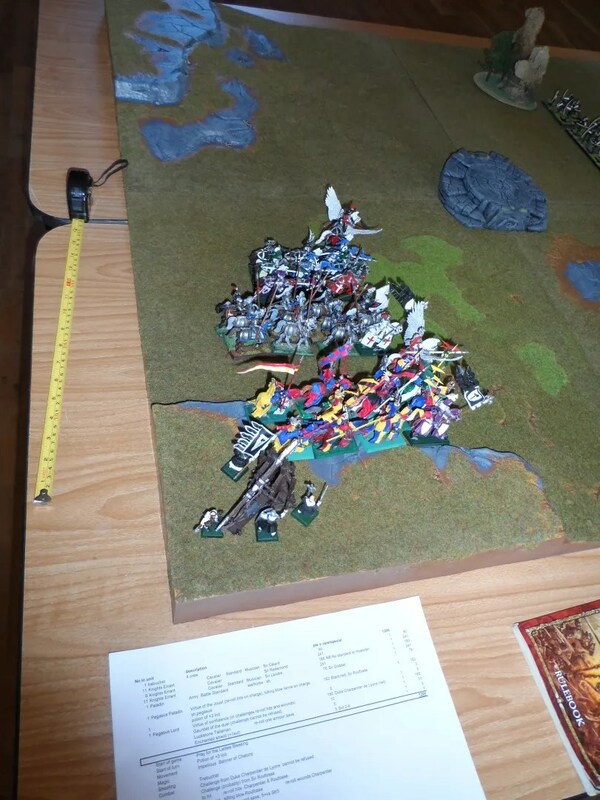 For some time, we’ve had a WHFB day planned, and the numbers outgrew the capacity of Chez KIY especially when Byakhee Rich suggested a series of semi tournament games of 1200 PV armies on 4×4 tables. 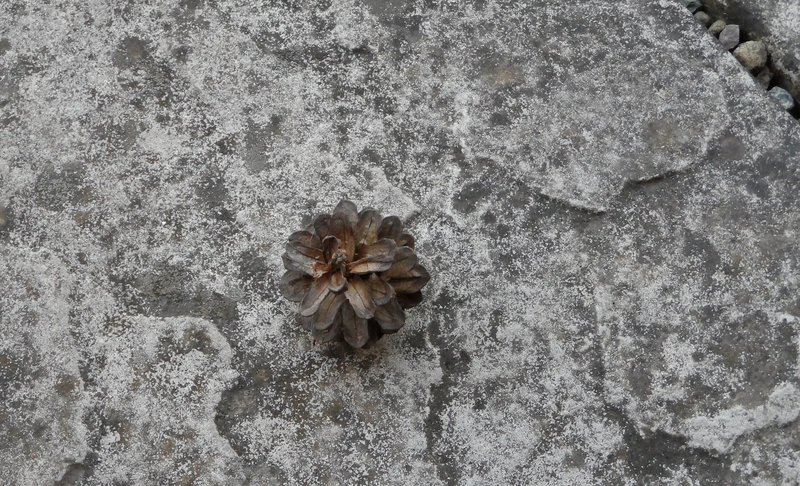 Lots more postings on the games as I wade through my photos and get input from the Byakhees ! We crammed in a load of games. Not sure why they brought this home, but hey whatever. I might be able to make it into a scenery piece. 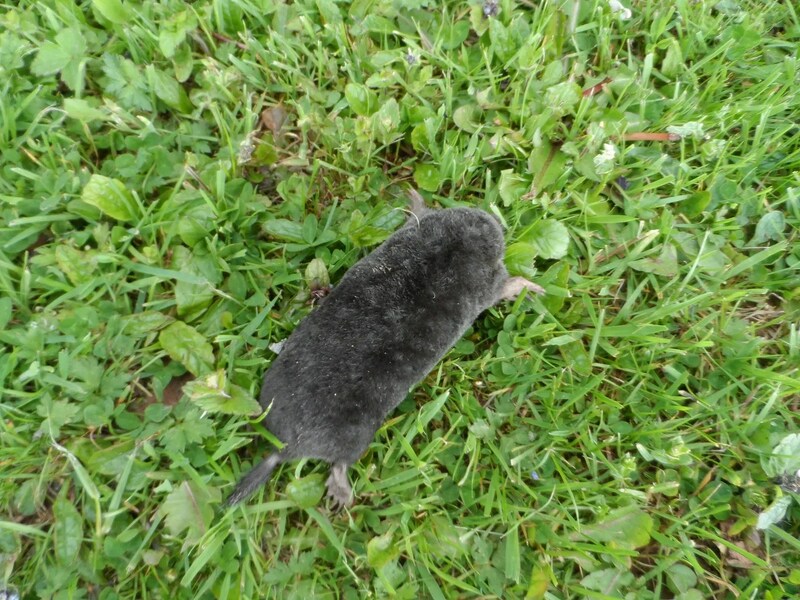 Best of all, they also delivered Mr Mole, dead, on Friday afternoon. 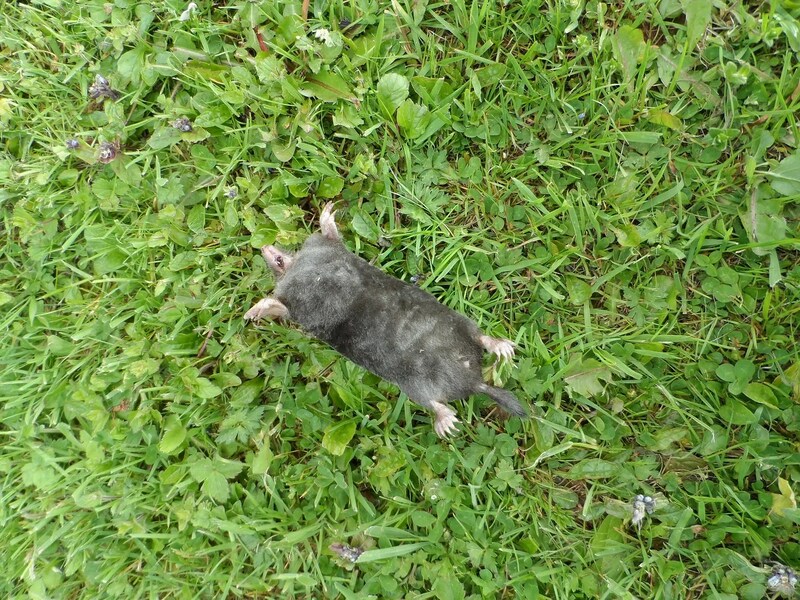 Normally I am agains lttle things being killed, but Mr Mole has made my lawn look like the Somme battlefield. So after two years of hunting him the cats finally got him. They knew he was down there as they’d be seen watching the mole hills, and then going fishing with their sticky little paws…. 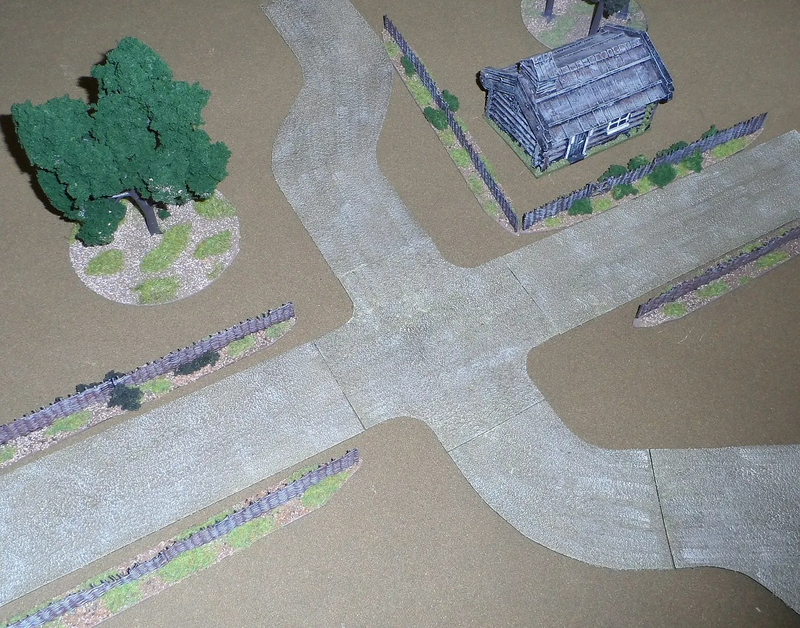 I saw on TMP a new product – Revolutionary Roads, and in need of some dirt tracks for the upcoming BoB Big Game thought I’d get some of them taking advatage of the 10% discount for pre-orders. 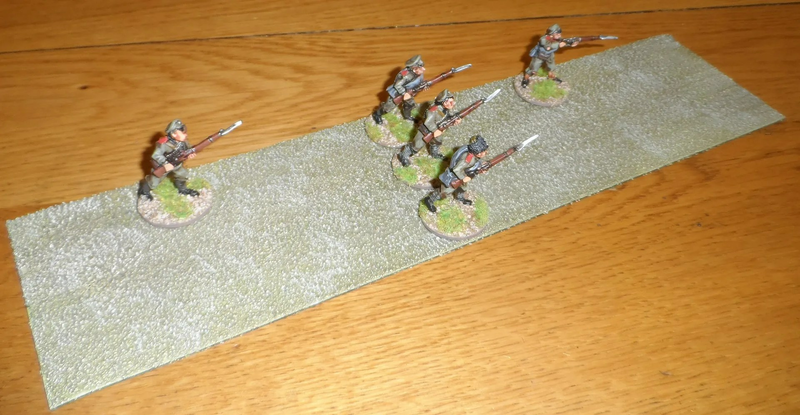 The sets you get are quite large – about 18 foots worth of road for £44. 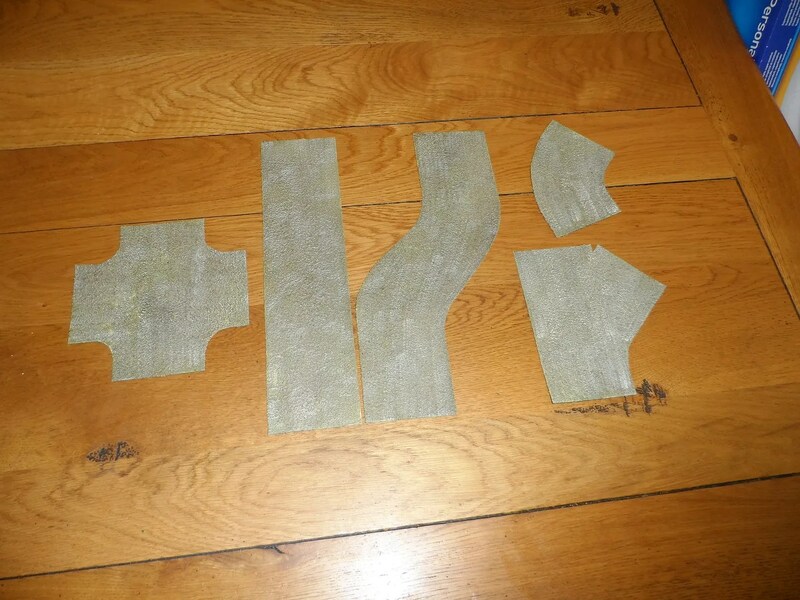 The pieces are made out of black latex cut to size with rough surfaces. They came in plastic bags, and s far have shown no sign of the rough surface material flaking off. So far this looks like a good investment. 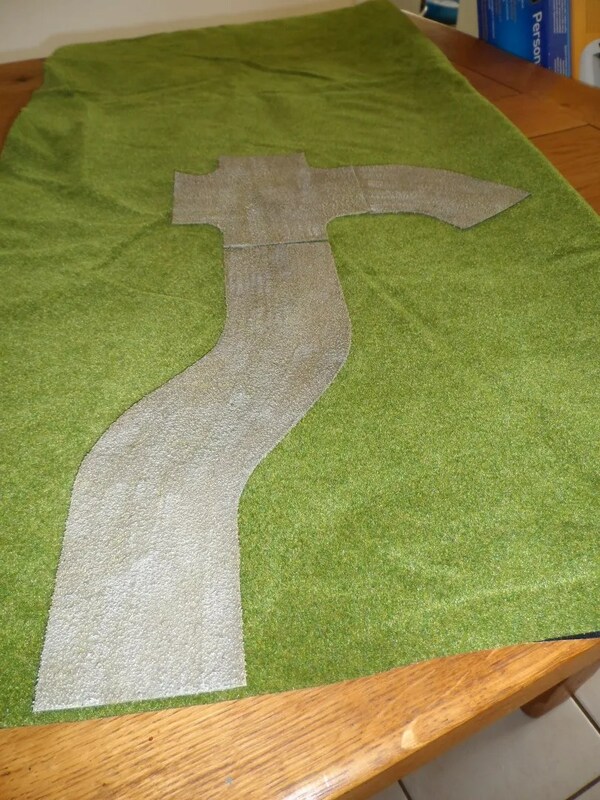 I left one piece draped over one of the BoB rolls and the material adopted the shape/contours within minutes. 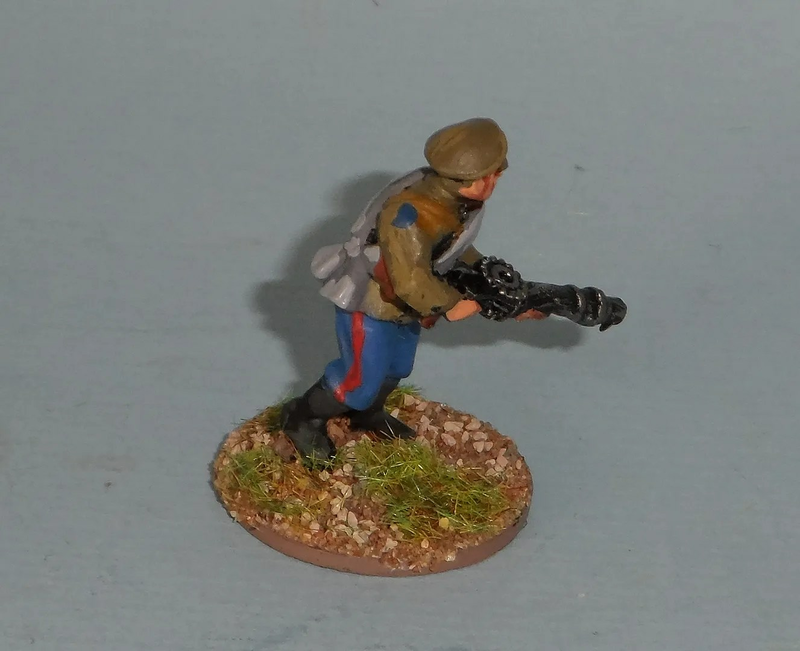 Models by Brigade Games. 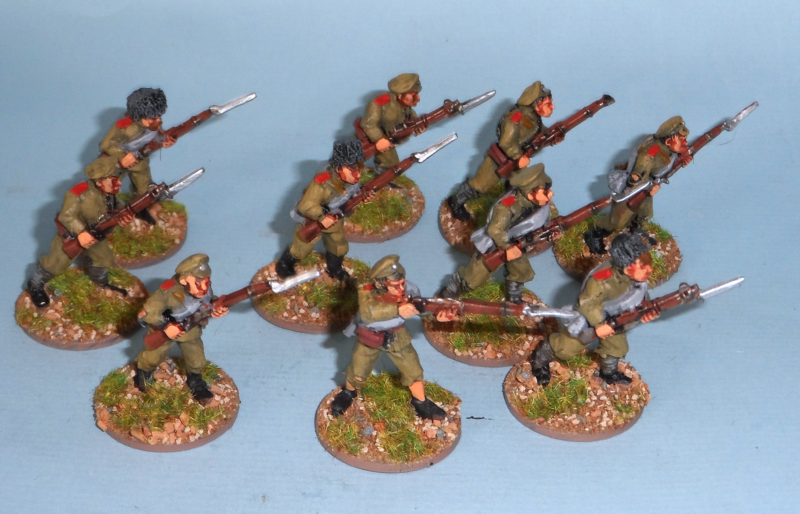 As per their Shock Troopers, slightly more slender than Copplestone but easily compatible.